FALL RIVER, Mass. -- Former NFL star Aaron Hernandez's conviction in a 2013 murder can be erased because he died before his appeal was heard, a judge ruled Tuesday. Judge E. Susan Garsh said case law in Massachusetts has long established that defendants who have not had the merits of their appeals decided before they die have the right to have their convictions vacated. She said she was compelled to follow it. The former New England Patriots tight end hanged himself in his prison cell last month while serving a life sentence on a first-degree murder conviction in the death of semi-professional football player Odin Lloyd. He died five days after being acquitted in a separate double slaying in 2012. A suicide note Hernandez wrote to his fiancee said "(YOU'RE RICH)", and implored her to "tell my story fully, but never think anything besides how much I love you." The note was released Friday as a part of court documents filed by prosecutors as part of their efforts to convince a judge to deny the request to vacate the former NFL star's murder conviction, CBS Boston reported. Lawyers for Hernandez had argued that the state's highest court had applied the legal doctrine "without exception," even in cases of suicide. They said his conviction wasn't considered final because the automatic appeal he was entitled to had not been heard at the time of his death. Prosecutor Patrick Bomberg had argued that Hernandez "should not be able to accomplish in death what he could not accomplish in life." But Garsh rejected the argument that Hernandez had forfeited his right to appeal by taking his own life, saying no one can ever know for sure why Hernandez killed himself. Hernandez's appellate attorney, John Thompson, told reporters after the hearing that he believes it's still uncertain as to whether Hernandez took his own life. Thompson says he has recent correspondence from Hernandez in which he was interested in pursuing an appeal of his conviction. Thompson also said because Hernandez died in prison, it will be difficult to definitively determine how he died. Hernandez's lead attorney in his recent double murder trial, Jose Baez, has pledged to do an independent investigation into his death. State police said in an investigative report that Hernandez was found naked on April 19 and hanging from a bed sheet tied around the window bars of his cell. Correction officers found that cardboard had been shoved into the tracks of Hernandez's cell door to prevent the door from opening. Hernandez also had put shampoo on the floor to make it slippery, the report states. 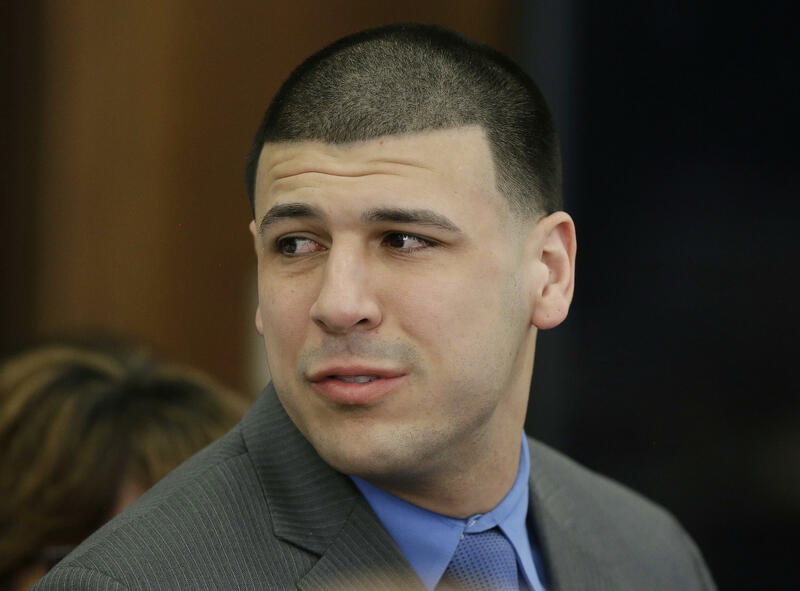 An autopsy performed by the state medical examiner's office determined the cause of Hernandez's death was asphyxia by hanging and the manner of death was suicide. Hernandez, who grew up in Bristol, Connecticut, and played football at the University of Florida, was considered an up-and-coming star during his three seasons with the Patriots. He had a $40 million contract with the Patriots when he was arrested and charged on June 26, 2013 in the death of Lloyd, who was found shot to death on June 17, 2013 in an industrial park near Hernandez's North Attleborough home. Hernandez was 23 at the time and was cut from the team hours after his arrest in the killing.